Modular building systems that are fully interlocking. Build walls, furniture, toys, etc. Leonardo Da Vinci is accredited with saying that “simplicity is the ultimate form of sophistication.” At Zipblocks we like to brag that our modular building systems are simplest both because they are and because you can do sophisticated things with them. 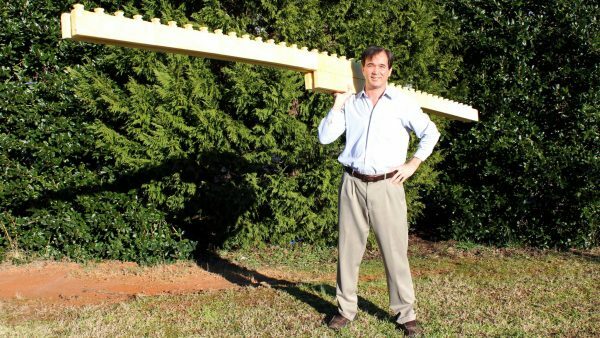 To help you understand Leonardo’s point, consider this. Fundamentally your computer is a simple device that can differentiate only between 1’s and 0’s and yet your computer can run very sophisticated programs. The crux of the matter is that if your computer were not so very simple, then it would be near impossible to run all those highly sophisticated programs on it! 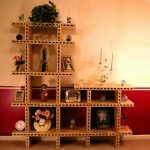 In nature, the simplest and most fundamental modular building system is the cubic lattice. It stands to reason then that a modular building system that mimics a cubic lattice is the simplest building system. Zipblock modular building systems mimic the cubic lattice. When you build with Zipblocks every part that you place lines up precisely on the x, y, and z planes just like the atoms in a cubic lattice. The ability to build anything you want, knowing that everything will line up and fit together perfectly, provides a powerful reason to choose Zipblocks. 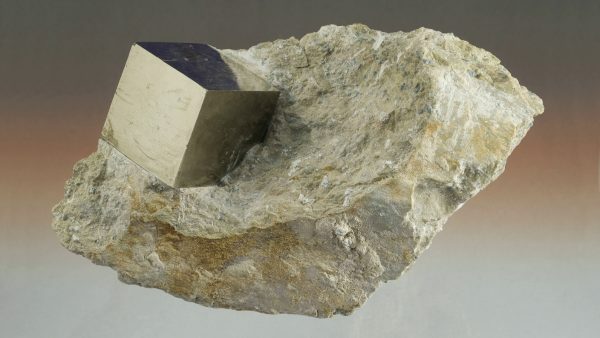 Nature got it right and so did Zipblocks. Our building systems are the best because they are “so very simple.” And it is precisely because our building systems are “so very simple” that you can do so many totally amazing things with our products! Zipblock modular building systems can be used for modular construction, modular furniture, modular toys, etc. Because Zipblocks are so versatile, you can build everything in the above picture and much more! Zipblocks are like toy building bricks because anything that you can build with them can be built life-sized with Zipblocks. Other modular building systems don’t even come close do doing what is possible with Zipblocks because they are more complicated. Other building systems rely on stacking. Lots of bad things are prone happen when you lean against or bump into stacked things. 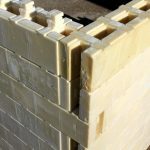 Because Zipblock blocks and panels fully interlock, things made using our building systems are rigid, sturdy, and solid. Our 8-foot long building blocks make short work of traversing large openings. Traverse over openings as large as a garage without first placing supports. Virtually all non-Zipblock systems require that you first provide a framework to support blocks before you can traverse large openings. Not having to provide supports around openings when “framing” out all your walls with blocks and panels is an extreme time saver. This advantage means that you don’t have to always stop to frame openings before you can traverse over them with blocks. Instead, you can quickly build all your walls and then frame in all of your openings at once. Having to frame in sections before you can traverse over them is a painful process that is prone to errors for obvious reasons. Being able to just go right over open spans in a hassle free manner and then framing these areas in later is much more pleasant. Framing blocked openings is a piece of cake. Take measurements. Frame opening. No room for error. If you do make an error then your frame will not fit into the opening! With Zipblocks framing openings is error proof. This picture demonstrates why our modular building systems are hybrid. It illustrates the fact that panels and blocks work together seamlessly. With our hybrid building systems you can build out large areas with panels and small areas with blocks. Transitioning from blocks to panels or from panels to blocks is an effortless process! Zipblocks modular building systems are similar to toy building brick systems because all Zipblock parts work together just as if they were a toy building brick system. The exception is that with Zipblocks you can transform longer “bricks” into fully functional smaller “bricks.” The only waste produced is the dust that falls when you cut your “bricks”. Use panels for large areas that do not have openings. Use cut-to-length blocks to create window and door openings. 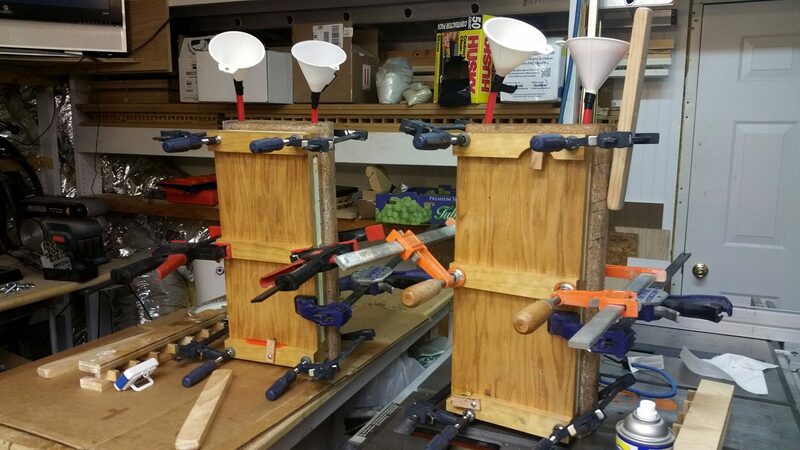 Low cost molds used in a garage to cast urethane parts. The answer is simple. An extremely low research and development budget for Zipblocks mandated low cost molding technologies. 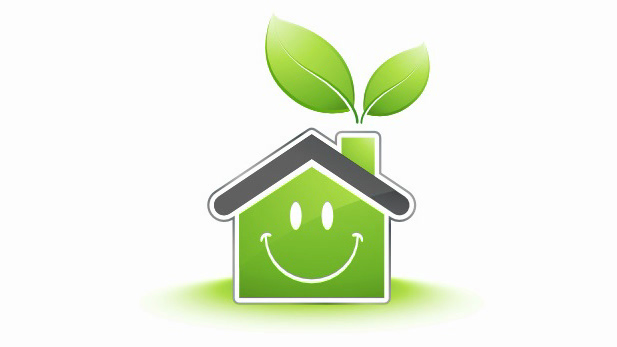 Low cost molding technologies translate into lower production costs. Lower production costs translate into lower consumer costs. Look around our site. As you browse, keep in mind that all the polyurethane foam Zipblock parts you see were cast in a garage using low cost molds. 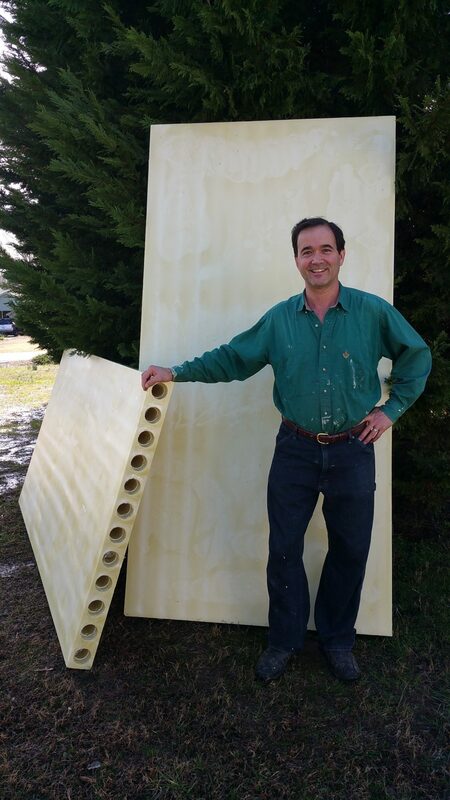 These corrugated polyurethane foam wall panels were cast in a garage! The large corrugated polyurethane panels shown in the above picture were cast in a garage! 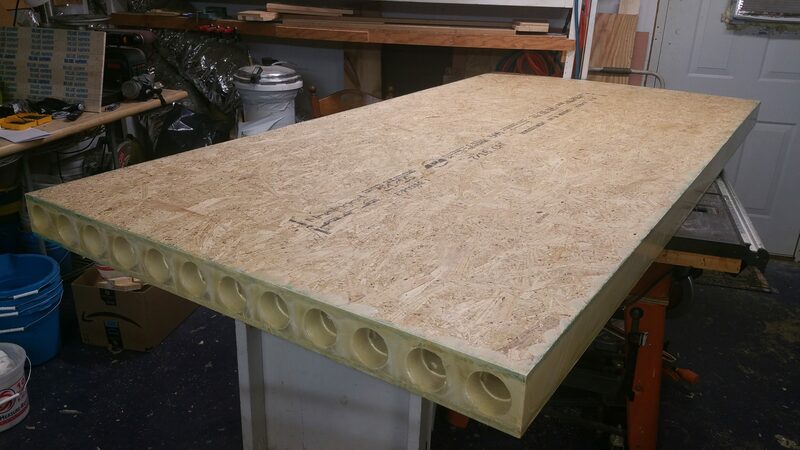 To create these panels we poured predetermined amounts of parts A and B foam mix into a two gallon bucket, mixed the foam components together with a drill and then poured the rigid polyurethane foam mix into our ultra low cost mold. We repeated this process several times until our mold was filled. If you look carefully you can see the delineations in the panels that were created when each additional bucket of foam was poured into the mold. Were we to have used a foam machine to fill our mold, then no delineations would be visible and our panels would be perfect. The point of this example is that extraordinary things can be accomplished on a shoestring budget! Our low research and development budget has resulted in gold! Ironically we are now producing high quality, low cost parts precisely because we were initially forced to use a low research and development budget. Presently Zipblocks are not being manufactured. We are soliciting partners via articles like this, so please contact us should you or someone you know have interests in bringing Zipblocks to market. We will be happy to underwrite some sort of profit sharing agreement. We recently created/developed our own PU mixing machine and used it to cast the panels shown below. The mixing machine allowed us to cast each panel in just one pour. 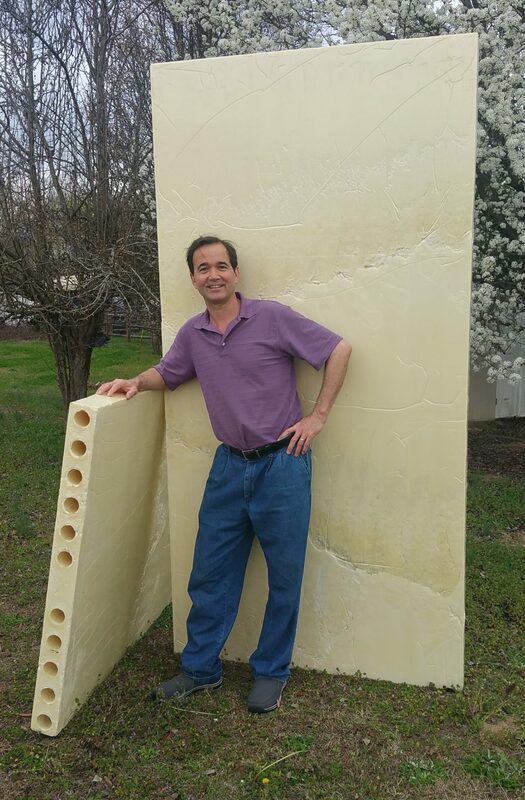 Our custom made PU foam mixing machine allowed us to create these PU panels in just one pour. We also recently cast a SIP panel from our new panel mold. SIP panel recently cast using low cost mold. 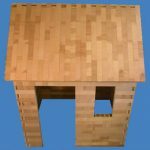 Our modular building systems can be used to build walls, insulated concrete forms, go kart frames, tables, bookcases, play houses, desks, storage bin organizers, signs, planters, wall units, and many other things. Zipblocks are like giant-toy-building-bricks. You can build just about anything that you want to with Zipblocks, so long as the blocks are made from appropriate materials. It’s true that Zipblocks can be used to build almost anything out of almost anything. 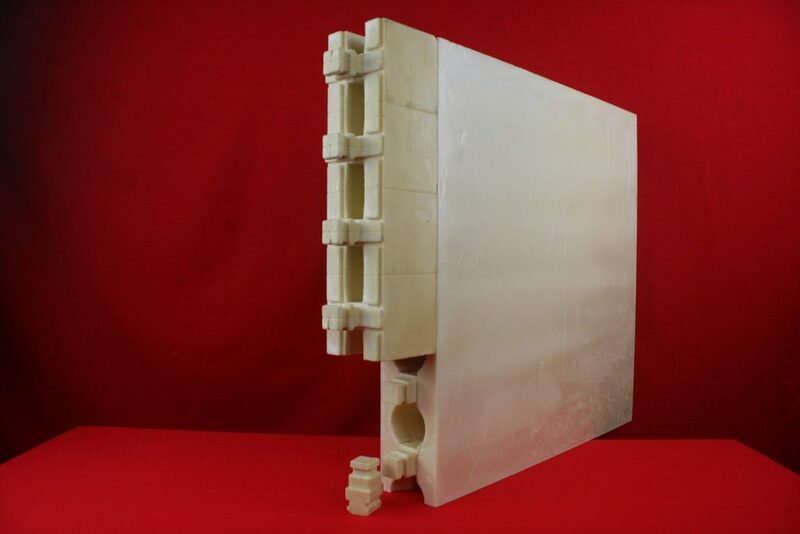 This is possible because Zipblocks can be made from wood, metal, rigid or soft polyurethane foams, etc. Zipblocks don’t care what they are made out of. Wood, metal, or foam Zipblocks all work the same. Blocks made from different materials all zip together just as smoothly as a zipper – and that’s why we call them Zipblocks! When you build with Zipblocks your creations are fully interlocked and not simply stacked. 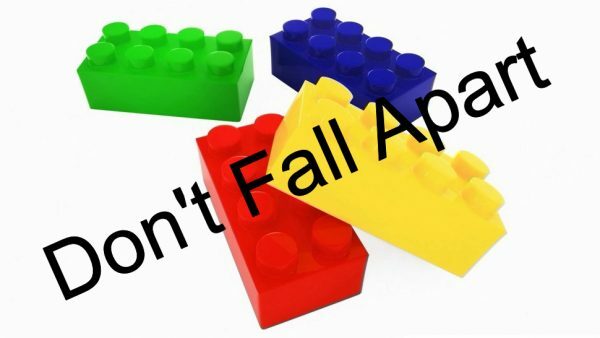 Whatever you build will stay together and not fall apart!